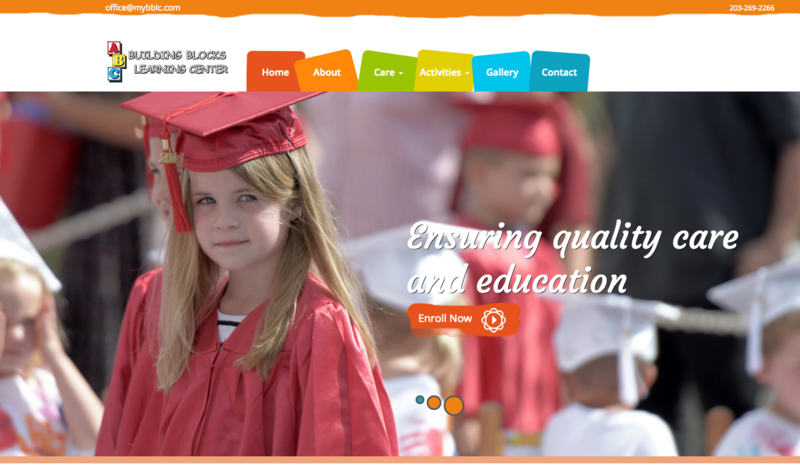 Wallfrog recently designed and launched a new website for Building Blocks Learning Center located in Wallingford, CT. After 28 years in business, this is their very first website. Like most businesses that started before the internet was part of the conversation, they got most of their business by referrals from their happy clients. They will continue to do just that. This website will however, make them more referable. As clients recommend businesses to their friends, those friends, although trusting the referral, like to go on-line to visit the website of the company just to confirm or find out additional information. In the past, Building Blocks did not have a presence on-line. The new website will not only help them be found, but become a selling tool, and a timesavers for Building Blocks, as it will answer some of the common questions about their services and what they offer.